The "Launch Ceremony and Seminar on the Digital Belt and Road (DBAR) Program for Environmental Change" was held on July 13, 2017, in Beijing. More than 40 representatives from China, the United States, the United Arab Emirates, France, India, Kazakhstan, Bangladesh, Nepal, Mongolia, and Pakistan attended the meeting. The meeting was composed of the launch ceremony of the Environmental Change Working Group (DBAR-ENVI) and an academic seminar. 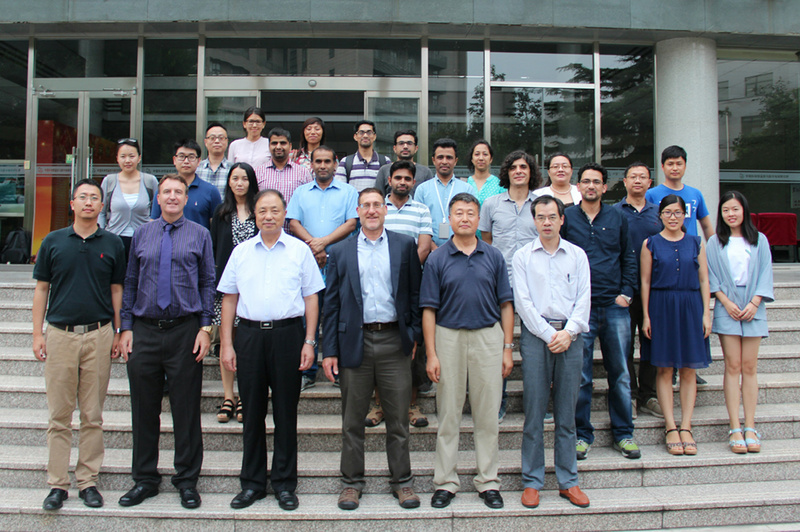 The goal was to promote the research achievements of environmental change under the scientific framework of DBAR, form an international cooperation mechanism for DBAR-ENVI, explore the key areas of cooperative research, and make a contribution to the global environmental change response and the sustainable development of the Belt and Road region. 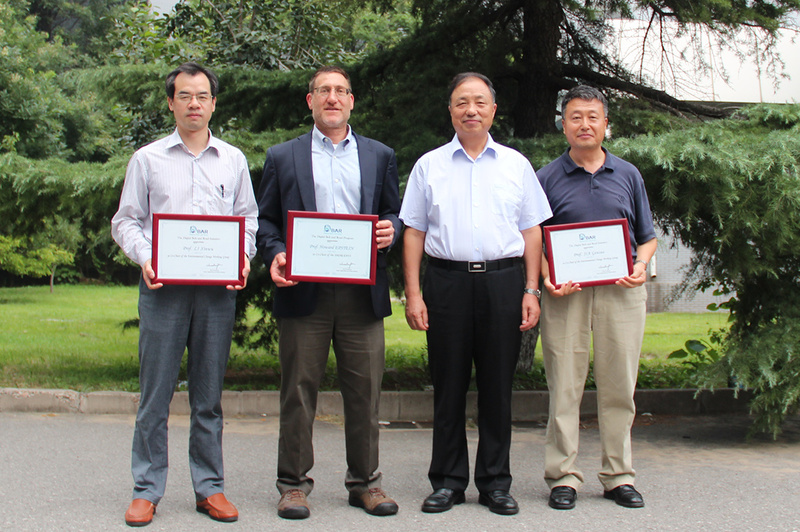 Prof. GUO Huadong, Chair of DBAR's Science Committee, delivered a speech and issued certificates for Prof. LI Xinwu, Prof. JIA Gensuo, and Prof. Howard Epstein, as Co-Chairs of DBAR-ENVI. Prof. Guo pointed out that it was of great significance to build DBAR with consideration of the rapid development of scientific concepts and technologies such as big data, deep learning and artificial intelligence. The establishment of DBAR-ENVI, he said, would effectively gather scholars focusing on the monitoring of environmental change in the Belt and Road region to participate in DBAR. By promoting the link between science and government decision-making, he added, we would jointly enhance scientific practices in the realm of environmental change of the Belt and Road region. Dr. JIANG Nanqing from the China Office of the United Nations Environment Programme (UNEP), Prof. Howard Epstein from the University of Virginia, Prof. LI Xinwu from the Chinese Academy of Sciences (CAS) Institute of Remote Sensing and Digital Earth (RADI), Prof. Laurent Ferro-Famil from Université de Rennes 1, Dr. Irfan Rashid from University of Kashmir and Prof. James Terry from Zayed University introduced their research progress and results from different research fields or regional perspectives. They all focused on the sustainable development and environmental change of land ecosystems within the context of DBAR. 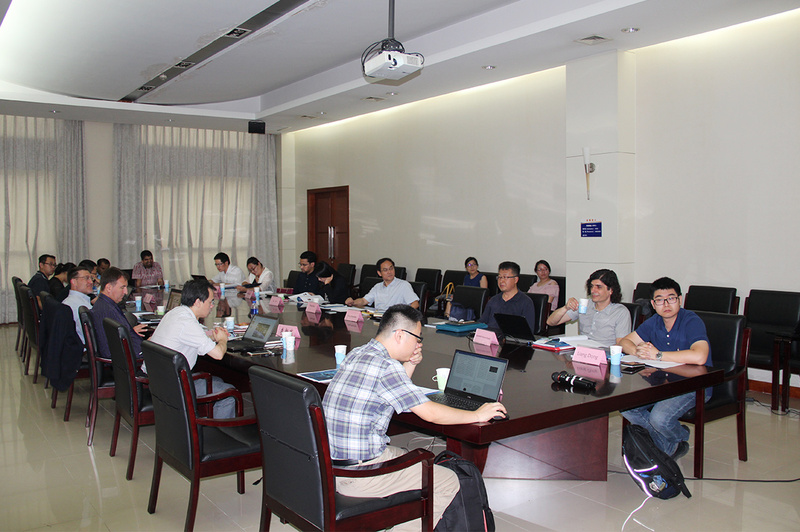 Prof. JIA Gensuo from the CAS Institute of Atmospheric Physics chaired a discussion on the DBAR-ENVI implementation plan to further clarify the cooperation mechanism and the main annual activities of the working group. DBAR aims to support the sustainable development of the Belt and Road region. It is an international program for sharing data, technology, knowledge and experiences of Earth observation under the concept of big Earth data. In May 2016, DBAR was initiated by Chinese scientists and was supported by more than 20 international organizations, international programs, and countries. Attendees gather in Beijing for the "Launch Ceremony and Seminar on the Digital Belt and Road (DBAR) Program for Environmental Change". The DBAR Chair and Co-Chairs of DBAR-ENVI receive certificates at the launch of the working group. Participants in the seminar for the DBAR-ENVI working group.